Breakfast, they say, is the most important meal of the day. We agree with this and that is why we have a fantastic array of breakfast food selections for the African, Caribbean and Latino community in the Unites States of Africa. Our wide range of African food breakfast items as well as Caribbean and Latino foods that cuts across beverages, cereals, milk, paste, pastry, tea etc. is unparallelled online. Simply put, all your breakfast needs, if you desire African, Caribbean and Latino food are easily met by the Deeskus breakfast section, the largest and best priced African food online destination. 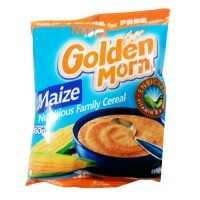 So don't fret about going to the African, Caribbean or Latino store to waste valuable time to shop for breakfast items as you can browse the widest collection of these African food breakfast items and order for any of the breakfast items in just a few clicks on your phone or computer and get them delivered to you at home in as little as one hour in some locations and a maximum of 2 days. Just like that you say? yes just like that and that at very attractive prices plus free shipping. Try this service today and buy your African foods online as well as Caribbean and Latino foods and you would be glad you did. In the unlikely event that you are not able to order your preferred African, Caribbean or Latino breakfast item here, then do not hesitate contact us either by phone or email or live chat and we shall ensure that such item is listed for your future purchase. As at now, we have over 60 breakfast items for African foods online on this platform and the catalog increases on a continuous basis. So whatever your breakfast needs may be as a member of the African , Caribbean and Latino community, we either have it or a simple step away from adding it to our catalog of breakfast items here so you can buy African food online with ease. 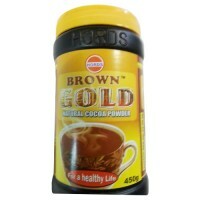 Brown Gold Natural Cocoa Powder..